The Icelandic firm CCP teamed up with Michel Mayor, renowned exoplanet astronomer and honorary professor at the University of Geneva, to launch the new version of EVE Online, a video game aiming to bring together science and entertainment. The objective: by manipulating real scientific data, tens of thousands of players think of conquering the galaxy, while they are mainly improving scientific research in the field of astrophysics. EVE Online, a Massively Multiplayer Online Roll Playing Game (MMORPG) designed 13 years ago by the Icelandic company CCP, wishes to associate enthusiastic intergalactic video game fans with research in astronomy. In order to do this, CCP offers an original solution: the introduction of real astronomical data in the game. Through the Massively Multiplayer Online Science (MMOS), a Swiss-based start-up based in Monthey, CCP asked the Observatory of the University of Geneva to introduce into the game curves of light obtained by instruments seeking transits. When a planet passes in front of its star, it causes a mini eclipse called transit. The decrease in luminosity of the star due to this transit is then identifiable and gives information on the presence of a planet, its diameter, its period, its habitability, etc. The light curves measured by satellites enter hundreds of thousands of computers, and although they are able to quickly and efficiently detect transits, they are struggling to identify atypical transits. For this kind of recognition, the human eye remains the sharpest tool. Applying the principle of citizen science, CCP decided to involve EVE Online players to analyze transits from the artificial satellites COROT and KEPLER. The principle is simple: EVE Online being a game of galactic conquest, the player can suddenly face an unknown planetary system and will then have to analyze the light curves to see if the system contains planets, and if so, what type, whether they are habitable or not, and so on. Once the analysis is done, its results are compared with the players’ results. If several players reach the same conclusion, the information is transmitted to the Observatory of the University of Geneva for further research. The game designers call on a “guru” to present the science underlying the light curves analysis so that the players know what they need to look for. CCP has already tested the concept with the introduction of the Human Protein Atlas project, where the Swedish biologist Emma Lundberg explains how the cyber player must identify proteins on photographs and why this is important for research. In EVE Online, the principle is identical. Michel Mayor, who discovered the first exoplanet in 1995, lends his image to explain to the players how they should proceed and what is the advantage of this approach for planetology. “The biggest challenge of citizen science sites is the long-term commitment,” explains Attila Szantner, co-founder of MMOC, “these sites are only effective if they regularly solicit amateur scientists”. With EVE Online this permanent “advertisement” is not necessary, since players are connecting without anybody suggesting them to. 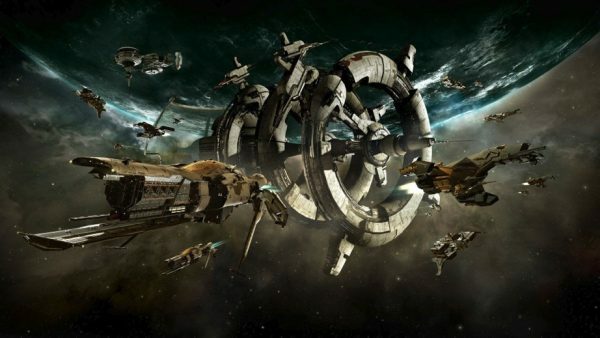 It is true that EVE Online brings together about half a million players, of whom 40’000 are online 24 hours a day. This makes for a hardworking and enthusiastic workforce for a job that can often be tedious, even impossible, if it has to be carried out by a small group. To launch the game, Michel Mayor will present the basic principles of exoplanet research and discuss the prospects that a game such as EVE Online can offer to research. 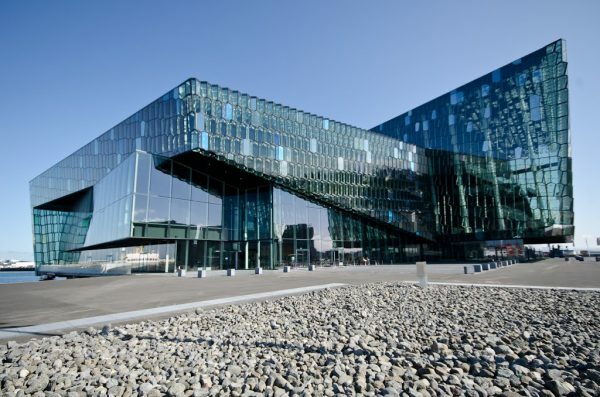 He will be present at the Fan Fest of EVE Online, which brings together several thousand of players every year in the great hall of the Reykjavik opera at the beginning of April. Michel Mayor will then be filmed in his role of professor “guru” so that his avatar can be shaped and included in the game.